In order to make impactful strides in your fitness regiment, you may need more than a consumer fitness app, according to a recent study. In March, JMIR published a meta-analysis revealing that while fitness apps modestly increased physical activity, the average step count between app users and nonusers was nonsignificant. The researchers, who represented the University of South Australia and University of Newcastle, Australia, also found that apps that focused on a short-term goal had better outcomes. Using data from seven different studies, the meta-analysis compared activity results between control conditions and smartphone fitness apps, and found that on average participants’ step counts differed by 476.75 steps per day. Researchers also reported that apps that employed short-term activity models under three months were more effective than those spanning a longer period. In fact, on average, people using this type of app increased their activity by 2,074.96 steps per day. Apps that tackled physical activity alone also did better than apps that addressed physical activity and diet, with users of the former increasing their activity by an average of 716.86 steps per day. Lastly, researchers looked at if fitness apps that targeted a specific patient population were more effective, but found a nonsignificant trend for improvement in both. Researchers identified a total of 6,170 studies. The team was able to then narrow this search down to nine studies that fit into their inclusion criteria, and from that examined seven in the final study. In order to be considered, a study’s samples had to be over the age of 18, the studies had to include a control group, smartphone interventions had to be the main component of the study and outcomes had to be objectively measured in physical activity. Nevertheless, funding continues to pour into these platforms. In December online fitness startup Freeletics raised $45 million in Series A funding, while in 2018 Peloton, a connected home exercise equipment and virtual workout class business, topped Mobi’s yearly funding roundup with a $550 million Series E round. That same year on-demand fitness coaching platform Aaptive raised $22 million and Dutch fitness platform Virtuagym closed a $7 million round. A number of fitness apps and services have also begun to bridge the gap between consumer offerings and full-fledged healthcare programs — for instance, Classpass, Peerfit and Vida Health. In addition to effectiveness studies, many health and fitness apps have come under scrutiny in recent years over privacy features, or lack thereof. The journal IEEE Access published an analysis in February of 2018 suggesting that a substantial number of popular health apps have major privacy and security shortcomings, with many not following standard practices and upcoming European Union data safety regulations. But this isn’t the only study finding consumer health apps lacking on privacy concerns. 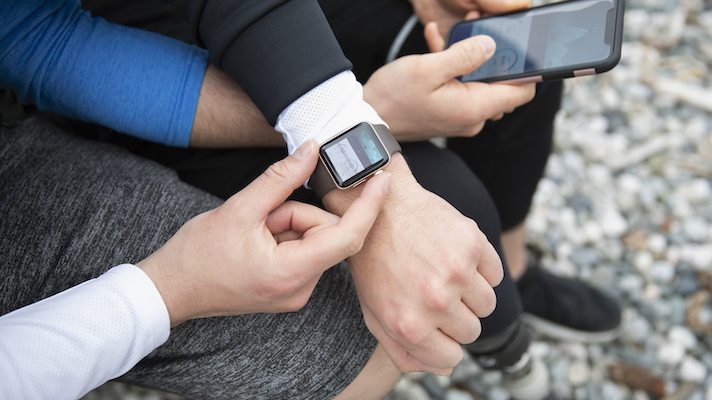 A 2016 study from the Future of Privacy Forum, found that health and fitness apps may potential reveal data-enabled insights into the daily lives of their users and trail behind other apps in terms of privacy policies. The US military has taken notice. In August the pentagon revealed new rules on fitness trackers, following a discovery that troop’s secret or confidential locations were revealed by a fitness heath map.